Ethnographic documentary recorded in Los Angeles of a Kalderas Rom (Gypsy) wedding. 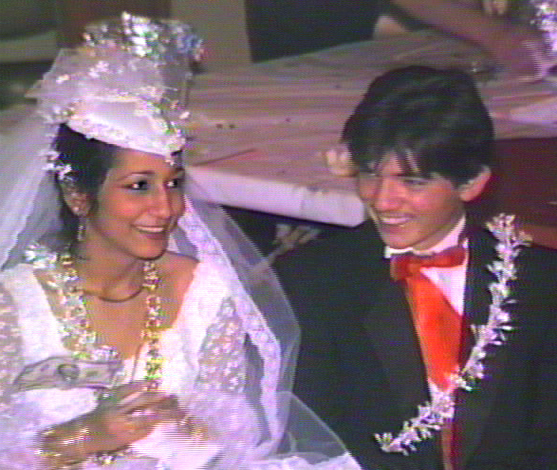 This video was made at the request of the groom's extended family who played a central role in the making of the film Gypsies, The Other Americans in which another wedding, Gypsy Wedding, was depicted 11 years earlier. Although separated in time by more than a decade, the two weddings are nearly identical with regards to the rituals and customs performed. This program is of non-broadcast television quality and generally only suitable for academic or research purposes. It contains image imperfections and sound distortions which are not a product of the copying process but are due to technical limitations in the original recording. 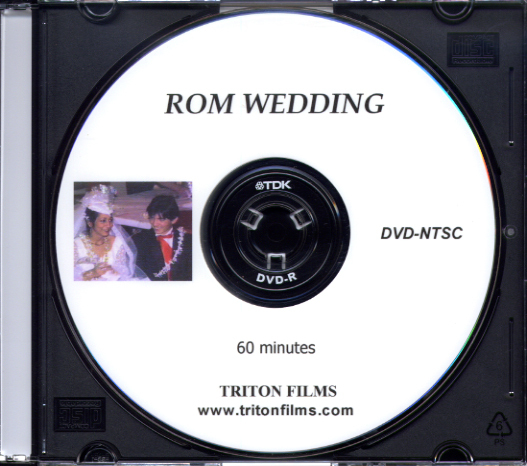 DVD is shipped in a "no frills" standard jewel case and is a DVD-R disc which will play on 99% of the DVD machines and computers in the world today. The vast majority of DVD players work fine with DVD-R discs, but some — mostly very old models — may have trouble. If you live in the United States, Micronesia, Canada or Japan, your video player will use the "NTSC" television standard. Most other countries use the "PAL" standard. If you are uncertain as to which standard your country uses click here for a list of television standards by country. If you have a dual system player which can play both NTSC & PAL, it is recommended that you choose NTSC because that is the system in which the program was produced and is of slightly better image quality.